 The next annual Pennsylvania MedWAR will be September 8, 2019 in the Montour Preserve. PA MedWAR is excited for a new twist on MedWAR this year! Keep an eye out for details coming this Spring! Registration opens May 1st with early bird pricing! Capacity: 15 teams of three (3) at $135-150 per team. Format: eight hours, eight stations. Camping: free with your registration. Please read through the official MedWAR Challenge Curriculum and FAQ’s for very important details before registering for any of the races. If you have any other questions, please don’t hesitate to email us at pennsylvania@medwar.org.